Power Skating Expert Tara McKay offers hockey players the best training in high performance skating. Tara works with elite athletes including NHL Pro players, NCAA, CIS, OHL, Major Junior, and Midget AAA. Our programs have been carefully developed to help students maximize their potential, on and off the ice. 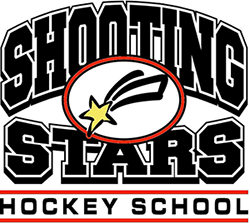 From power skating to basic hockey fundamentals, taking each player to the next level is our goal! Tara and Jayna are back again for their All-Girls Summer Camp in Aurora! Details coming soon for our July 2015 program.